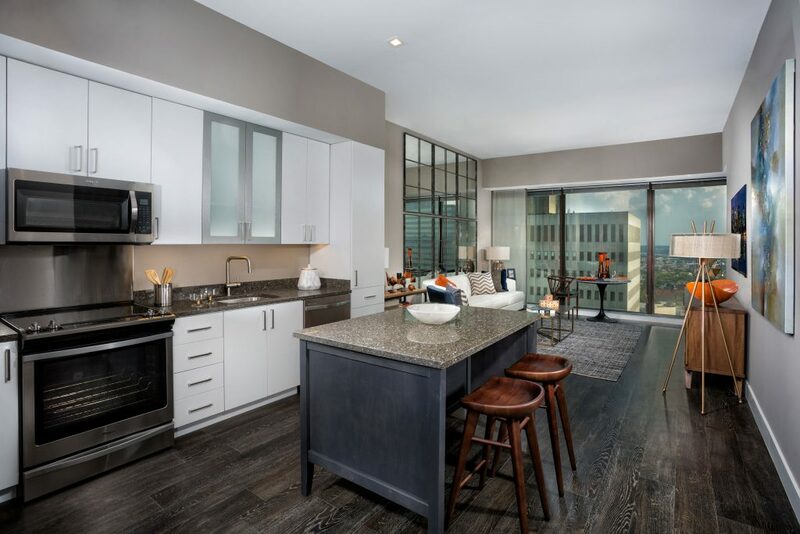 Elevate your lifestyle at the 2Hopkins apartments in Downtown Baltimore – where beauty meets simplicity. 2Hopkins offers a variety of floor plans so that you can have exactly what you want. Start simple with a studio, one-bedroom or two-bedroom apartment. Or for the ultimate in luxury living, choose to live in one of the penthouses on the 19th, 20th and 21st floors that offer unparalleled views and stylish features. Need to work from home? There’s a professional area in the lobby providing you a comfortable space to work, with computers and printers. The state-of-the-art fitness center on the 21st floor lets you overlook the city while you sweat it out. Choose from cardio machines, free-weights, or yoga or spin classes to help you reach your fitness goals. 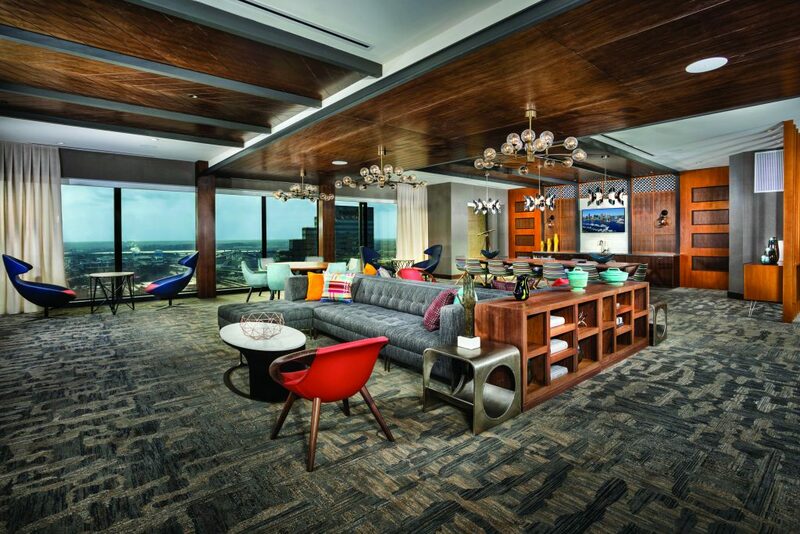 The 21st floor also has a clubroom with a large social area, wet bar and kitchen, stunning views of Baltimore and Wi-Fi connection. Host an unforgettable gathering with friends, watch the game or catch up on your reading in this beautiful space. Living in the heart of Downtown Baltimore means there are tons of amazing places to go for food and drinks. Check out some of our favorite places within walking distance from 2Hopkins here. Still hungry? We also have a foodie walking tour of the neighborhood here. And don’t forget about the best local breweries and outdoor patios that are around the corner. 2Hopkins is located in the Charles Center, boasting diverse restaurants, historic landmarks and accessibility to the best attractions of the city. Whether you’re heading to The Lord Baltimore Hotel or catching an Orioles game, the best of the city is just steps from your door. One of the best parts of living at 2Hopkins is having so much to do so close to home. 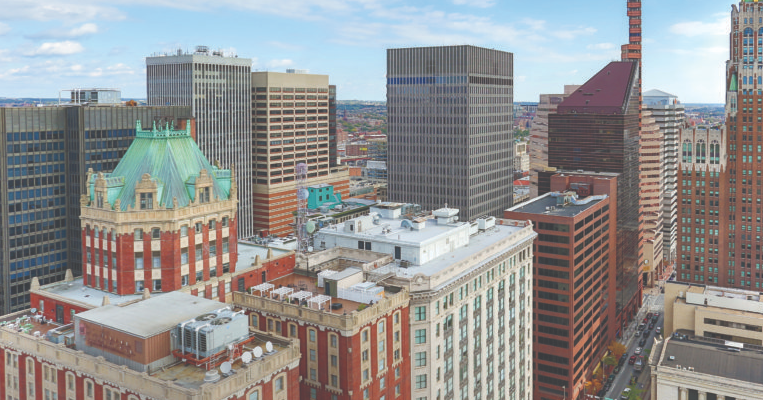 You can easily get to exciting areas like the Bromo Tower Arts & Entertainment District and the Inner Harbor from your apartment in Downtown Baltimore. Life downtown is life lived well. 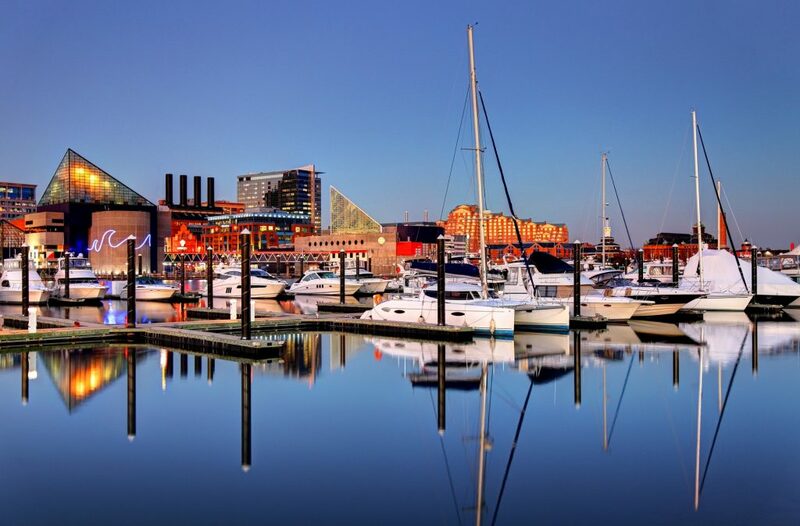 Everywhere from Fells Point to Mount Vernon, Harbor East to Federal Hill and even Canton, is easily within reach. The best of the city and all of your everyday essentials are at your doorstep. Check out our neighborhood page for more. Versatile transportation options are a staple at 2Hopkins. 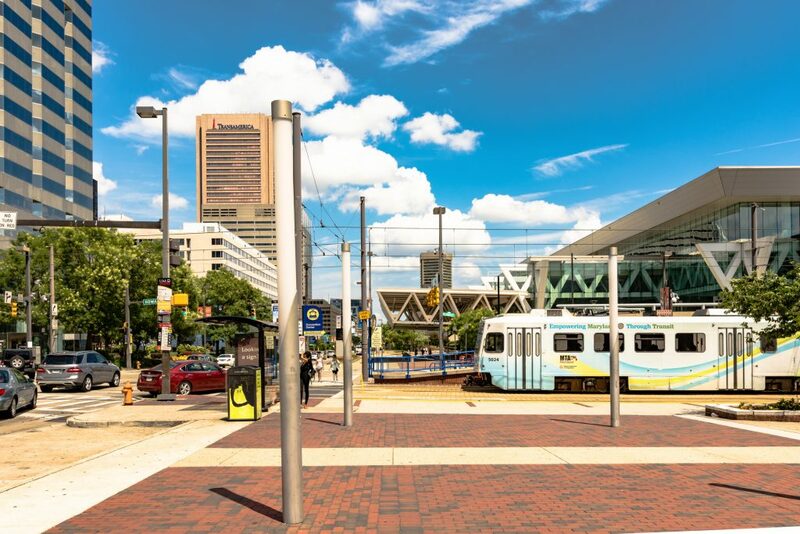 Less than a block from the Charles Center Metro stop and University Center Light RailLink stop, public transportation is a breeze. Living in Downtown Baltimore also makes biking and walking a great option. Throughout the building, many high-tech features have been included to make your life easier. In the apartments, there are stainless steel appliances in the kitchens, ventless dryers, convenient keyless entry and energy-efficient design. 2Hopkins also offers electric vehicle-charging stations, Wi-Fi throughout common areas, refrigerated package locker system and a real-time transport display in the lobby. 2Hopkins apartments are designed with entertaining in mind. Spacious and modern kitchens make dinner parties easy. Another great space for entertaining is the 21st floor clubroom, that has a large social space and kitchen – plus, you can show off the amazing views of the city. 2Hopkins welcomes your furry friends! Ask the concierge to schedule a grooming session or head to our residents-only pet spa, where you’ll find everything you need to bathe and groom your pet. The choice is yours. 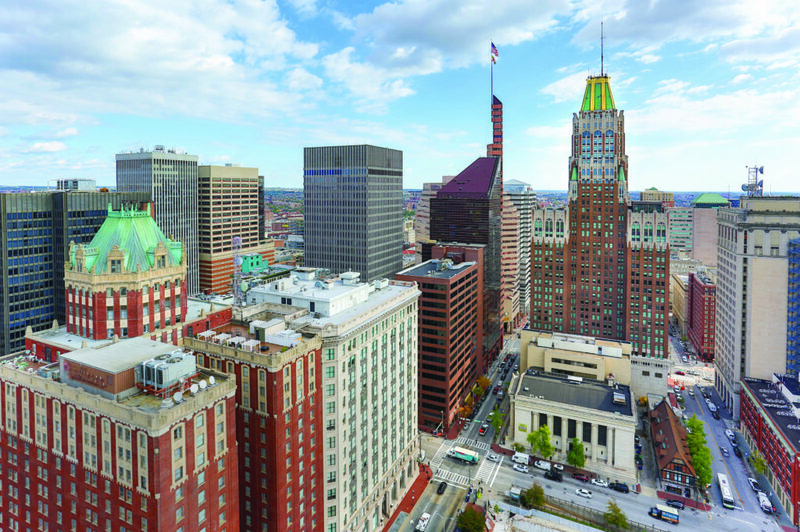 But, with modern apartments, extensive amenities and features, and one of the best locations in the city, why wouldn’t you choose 2Hopkins apartments in Downtown Baltimore? Come take a tour – and start living above the rest today.